85% Polyester & 15% Polyamide. Gentle to touch, extremely soft, no sticky feeling as general microfiber, able to stay fresh longer. Made of 100% Microfiber. Dry up 10X faster than normal terry cloth or cotton towels. Capable of holding up to 4X its weight of water. 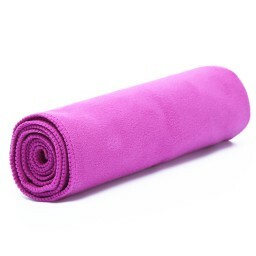 Ideal as beach towel, gym towel, sports towel, fitness towel, yoga towel.Suitable for hiking, traveling, boating camping, swimming, and other sports. Machine wash, then hang using the convenient snap loop, or tumble dry. 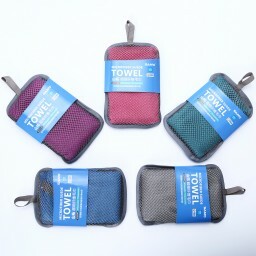 Sportern is promoting their Sports Travel Camping Towel. Visit product page https://www.giveawayservice.com/p/a6e6a7b1/c1f3b4e0f1 and find out more. #campingtowel Worked a lot better than I thought it would for the size. I ended up with the 16 x 16 version. I wanted to try it out to see if it would work for camping and travel. Despite the small size and thin material it absorbs a lot of water and rings out easily. It also dries quickly, within a couple hours saturated. I'm very impressed with the quality of this product. Sportern is promoting their Sports Travel Camping Towel. Visit product page https://www.giveawayservice.com/p/a6e6a7b1/b5c5a3e2a1 and find out more. #campingtowel . Soft on your skin and quick to absorb! Definitely a quality product for all your outdoor activities!